Filmed: Various dates on the JAZZ European & Japan tour in 1979. Quality: Very good & excellent picture & sound. All pro-films. Comments: Another Japanese dvd-r with competition from various pro-films from the Jazz tour. 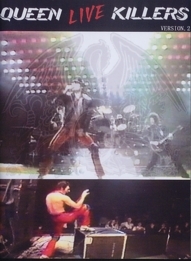 From television broadcasts & some tracks from Hammersmith Odeon convention video (QTV). Not a bad collection. 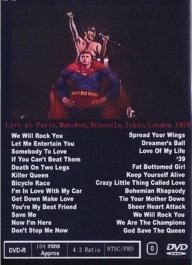 Basically same as previously 'Live Killers' (version 1) bootleg dvd-r, but here is added a few more tracks. Roots: Television & QTV mention over.